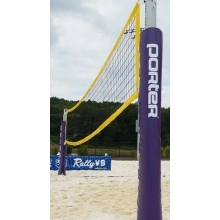 The Porter 2256 outdoor competition volleyball net is compatible with the Porter 591 Ultimate outdoor volleyball standards (sold separately). 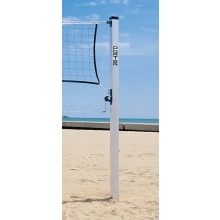 This 27'10" x 3'3" outdoor volleyball net is made of durable 4" square black polyester knotless netting. 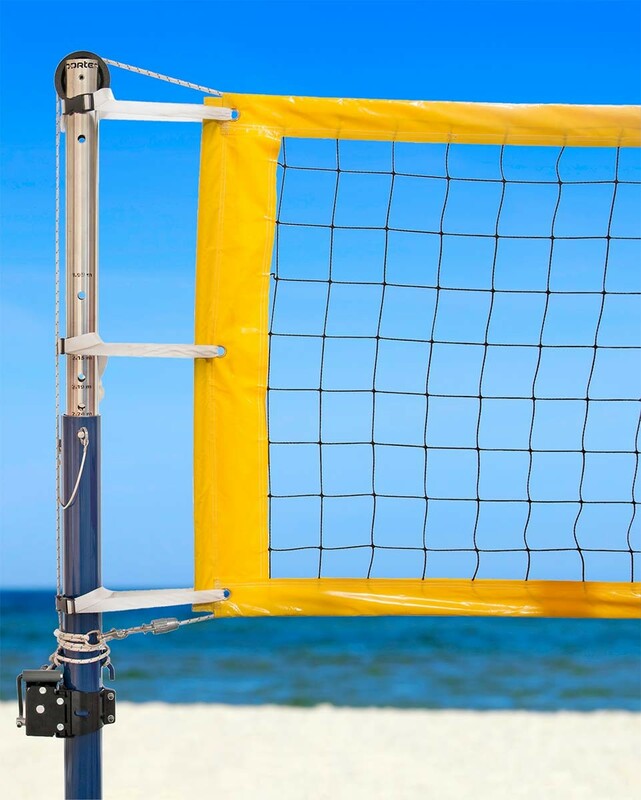 The net features a 3" wide UV resistant yellow vinyl band with 1/2" dowels on each end that are supported with 3 buckled strap assemblies on each side. The straps are threaded through grommets for ease of replacement.